IN OUR OWN VOICE is a 90-minute program in two parts: the first is a play-in-monologues, drawn from interviews given by women veterans and those still serving in the Armed Forces; the second part is a discussion with the audience, led by a mental health professional and women veterans. This project uses the arts as a form of advocacy. We believe that the experience of women in the military is not adequately represented in film, theater and other forms of media. All proceeds from the project will be used to continue the outreach to women veterans. Our goal is to have IN OUR OWN VOICE performed at colleges and universities, community centers, houses of worship, high schools and other theater venues. Our heartfelt thanks to the many service women who agreed to be the “voices” of this project. 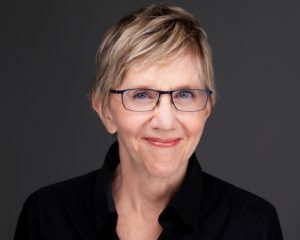 Beverly Coyle is the author of In Troubled Waters, both a Times “Notable Book” and an American Library Association’s “Ten Best Novels of the Year” selection (1994). Her novel The Kneeling Bus is taught at many universities and was Tampa University’s selection for the entering class of 2001. 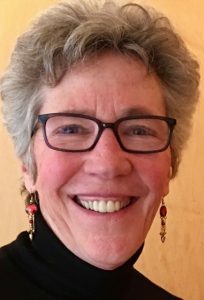 Beverly is Professor Emeritus at Vassar College and was also named visiting professor at Yale University, Yale Divinity School. Her play “The Smoking Gun” was produced as part of New York University’s TISCH Summer Play Festival (2009) under the direction of Drew Barr, assistant director of “War Horse” on Broadway. Beverly’s play “Parallel Lives” premiered at American Stage Theatre in St. Petersburg, Florida and is now scheduled to run at Orlando’s Performing Arts Center, 2015-16. Beverly lives and writes in New York City. 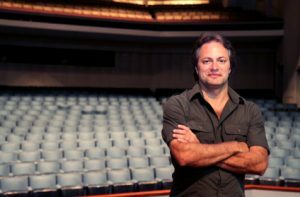 Steven Ditmyer (Director/Acting Teacher) Artistic Director of the Neighborhood Theatre Company in Naples, Florida (2003-2007). Notable productions included: ‘ART’, By the Sea, By the Sea, By the Beautiful Sea and Proof. Steven produced and directed the OFF THE PAGE Reading Series for Tony Randall’s National Actors Theatre including: The Night Of The Iguana with Alec Baldwin, Golf With Alan Shepard with Jack Klugman and Charles Durning and Ladies In Retirement with Rosemarry Harris. Steven studied with Sanford Meisner, Zoe Caldwell and Uta Hagen and is a graduate of The Neighborhood Playhouse where he later trained as a teacher. He teaches at The American Academy of Dramatic Arts in New York as well as teaching Meisner workshops internationally. Most recently in Paris, Rome, Amsterdam and Ecuador. Mary Ragan is project manager for IN OUR OWN VOICE, which is produced by the PSYCHOTHERAPY & SPIRITUALITY INSTITUTE in New York City. She is a licensed clinical social worker and executive director at PSI where she works as a clinician and supervisor. She is an adjunct assistant professor at Columbia University School of Social Work and Hebrew Union College. Her consulting work and teaching has brought her to Bolivia, Guatemala and Venezuela. She has experience doing trauma work after 9/11 and Hurricanes Katrina and Rita and, more recently, with those affected by war. To hear women veterans react to the monologues, view the Talkback video on Vimeo.